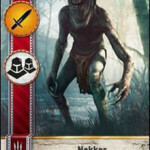 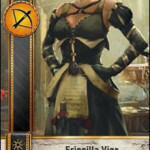 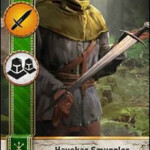 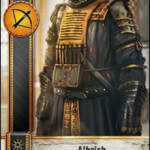 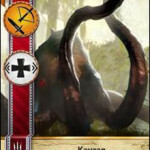 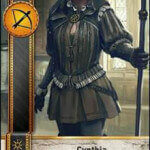 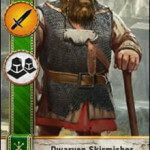 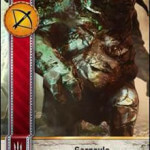 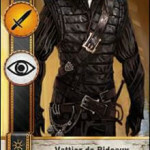 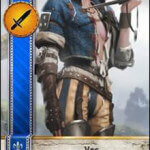 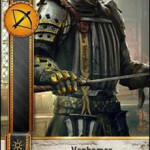 Scroll down to find all Gwent Cards from the Witcher 3 game and find all Gwent players in Witcher 3. 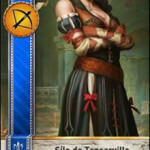 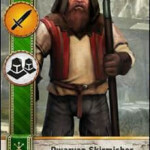 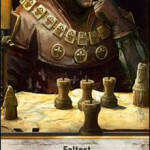 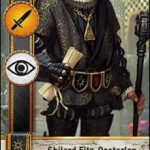 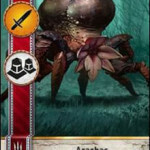 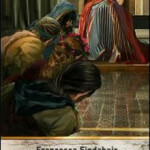 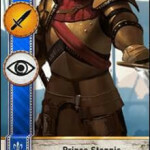 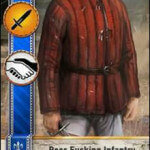 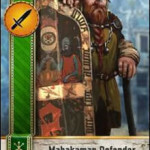 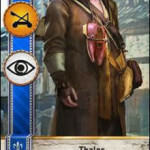 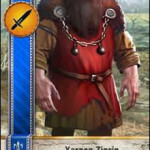 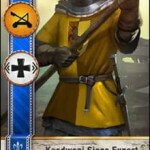 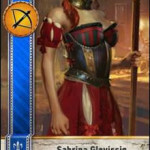 This page should help people by listing every Gwent card available including their stats and the location where they can be found, a list of gwent opponents and Gwent quests, the new Gwent Cards from the Hearts of Stone DLC and a Gwent strategy guide and best Gwent cards to help you improve you game. 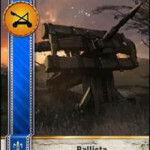 *Update to Blood and Wine DLC*: New Cards & Factions arrived! 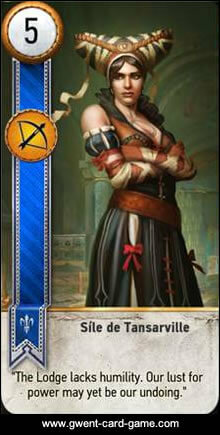 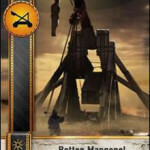 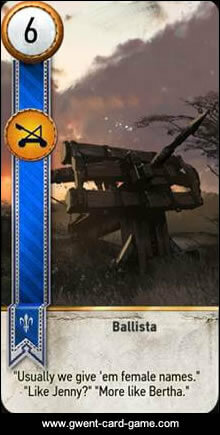 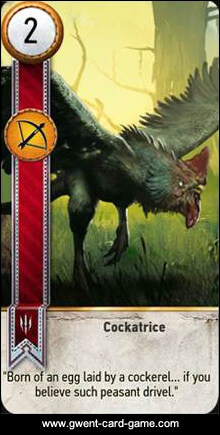 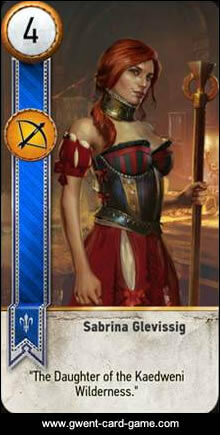 Checkout the new Blood and Wine Gwent Cards. 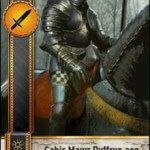 *Updates to Patch 1.07 / 1.08*: The update of Patch 1.07 seems to have fixed some bugs on receiving Gwent cards from people who may have died or are not accessible in the game anymore, see the CD Project Red Forum. 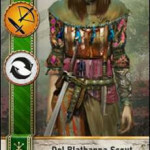 Al tough it broke the achievement/trophy of the Collect Em All Quest. 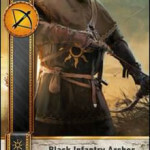 This bug should be fixed with Patch 1.08, so make sure you updated the game. 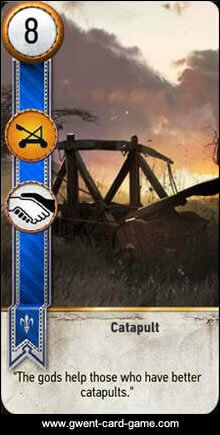 For some players it took some hours after the installation till they received the achievement. 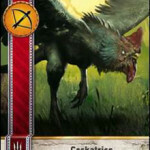 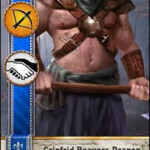 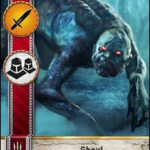 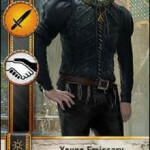 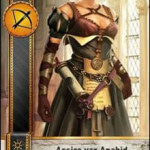 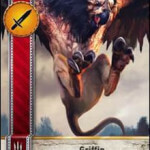 Below you can find the detailed list of all 196 available Gwent cards and their card abilities, characters who have the card, where to find the card and more. 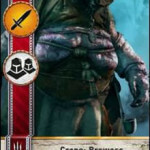 Be aware that you can not lose cards once you won or bought them, so no worries. 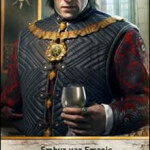 You only receive cards from characters if you successfully win a game of Gwent against them. 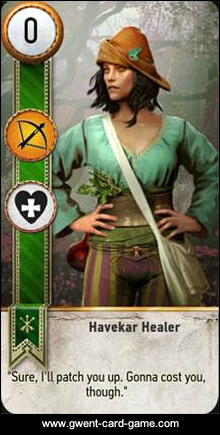 Some of those characters can only be challenged to a game as a dialogue option during a Gwent quest. 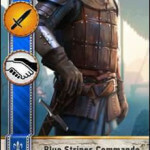 Morale Boost: This adds +1 to units in a single row, except for this played card. 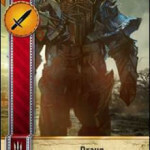 Scorch – Close Combat: This card will destroy your opponent’s strongest Close Combat units, but only if the combined strength of that row is 10 or higher. 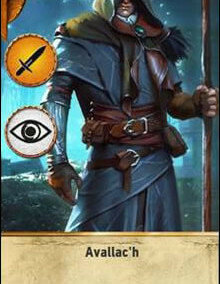 Spy: Put this card on your opponents board and you will draw two cards from your deck. 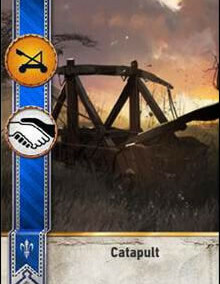 Tight Bond: Put this card right next to a card with the same name double the unit strength of all cards with this name. 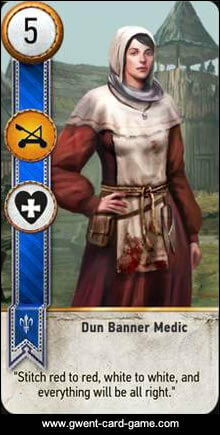 Medic: Put this card on the board, then choose a unit card from your discard pile and play it immediately. 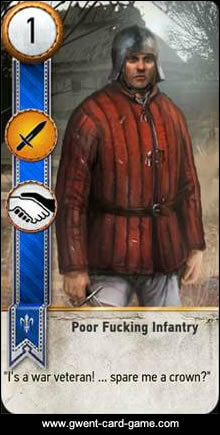 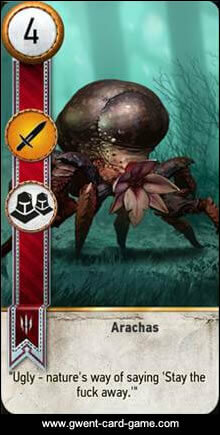 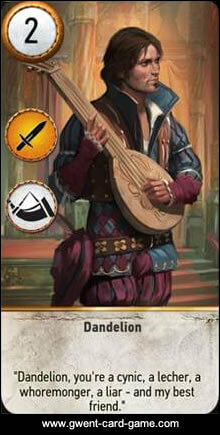 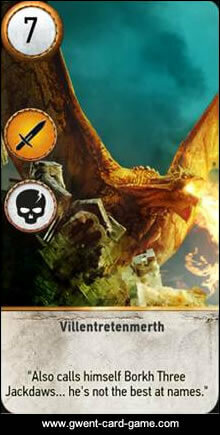 Agile: Choose to play this card into your Ranged Combat or Close Combat row. 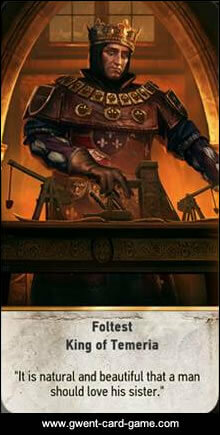 Muster: Play all cards with the same name from you hand and your deck also right away on the battlefield. 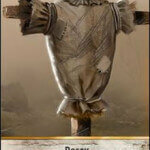 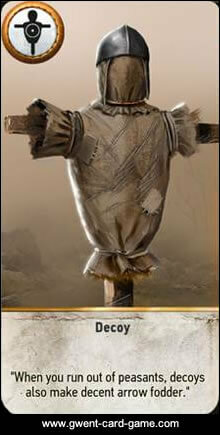 Decoy: Use a Decoy card to take a unit card on the battlefield back into your hand and replace it with the decoy. 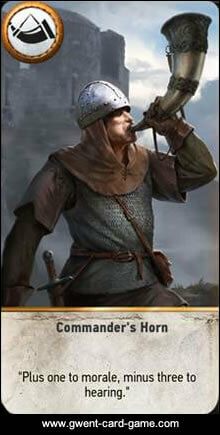 Horn: Plays a Commander’s Horn on a row (Close-, Ranged- or Siege Combat) to double the strength of all your unit cards in that row. 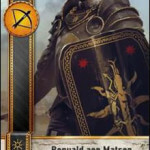 Neutral Gwent cards can be used in any faction deck. 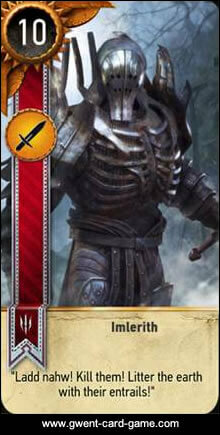 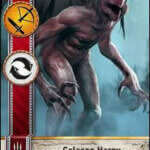 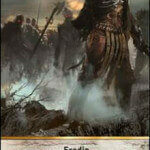 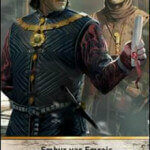 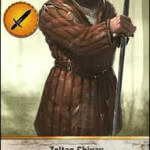 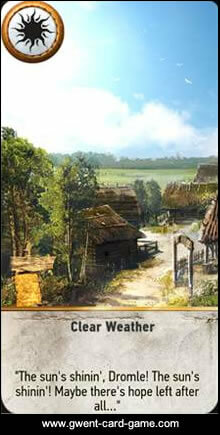 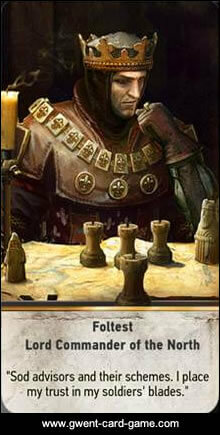 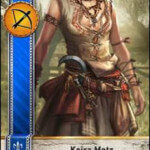 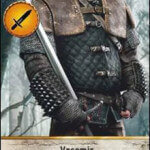 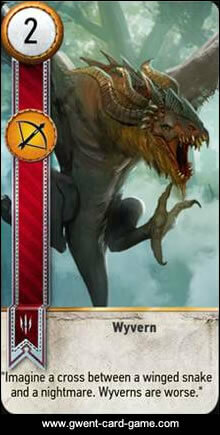 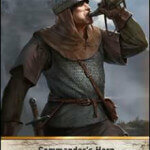 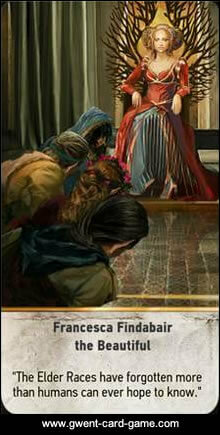 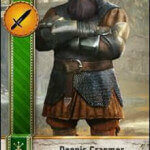 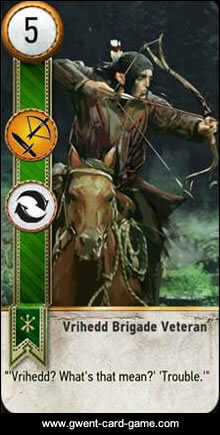 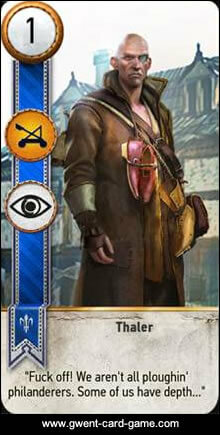 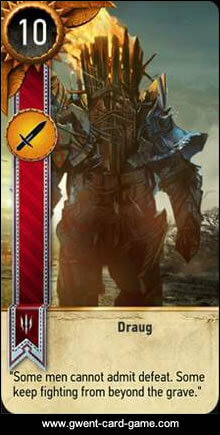 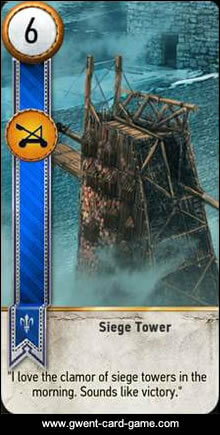 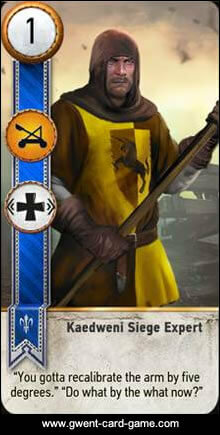 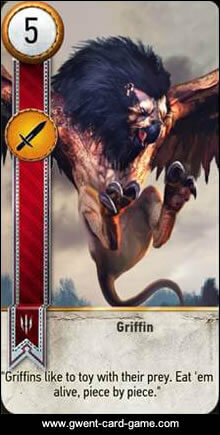 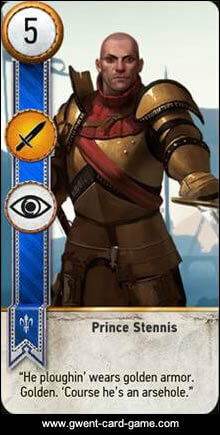 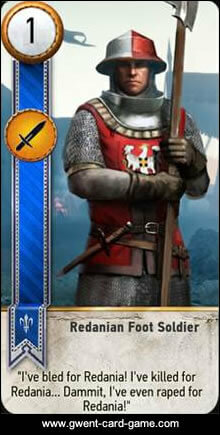 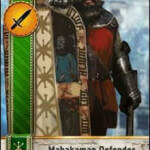 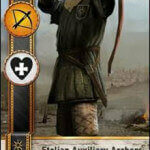 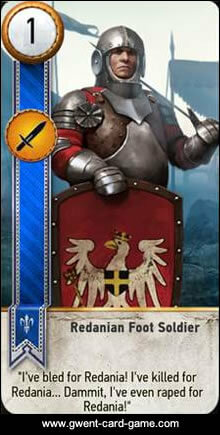 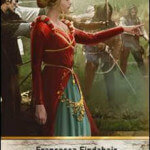 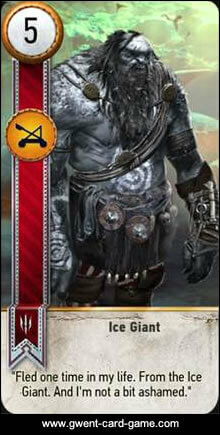 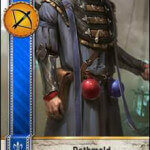 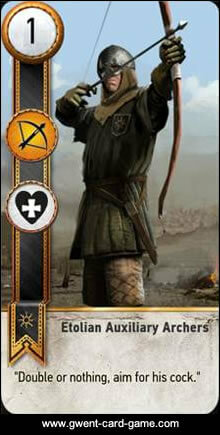 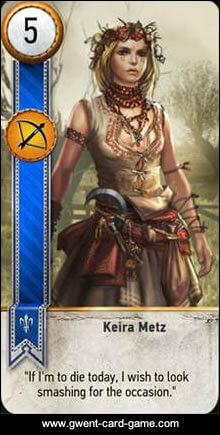 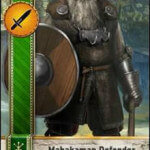 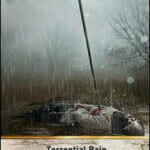 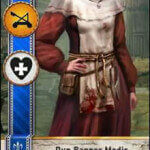 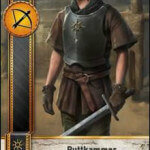 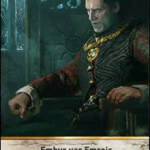 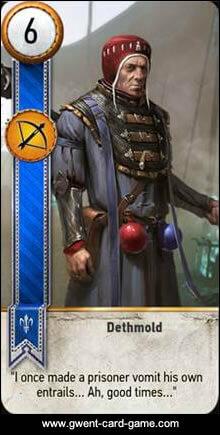 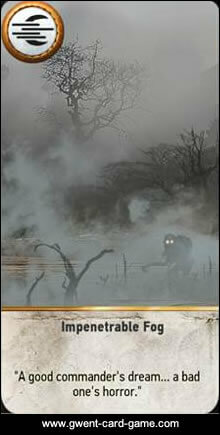 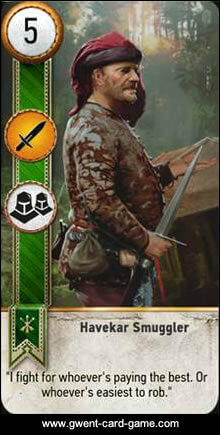 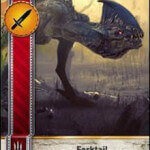 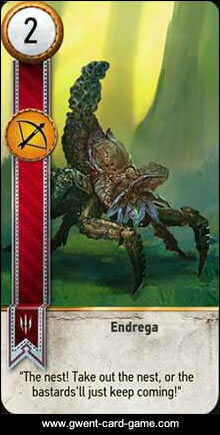 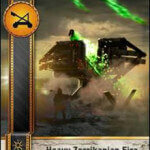 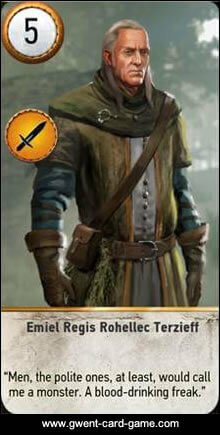 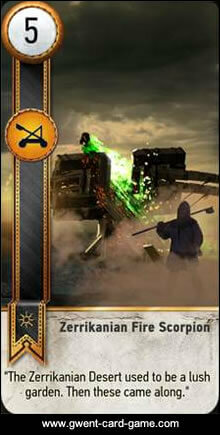 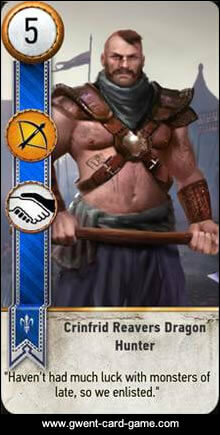 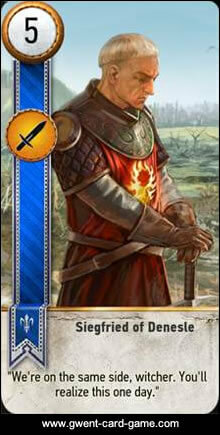 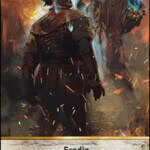 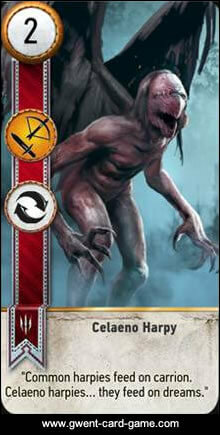 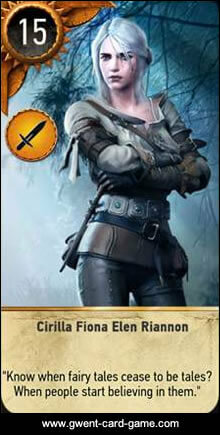 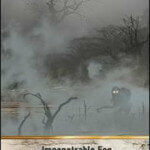 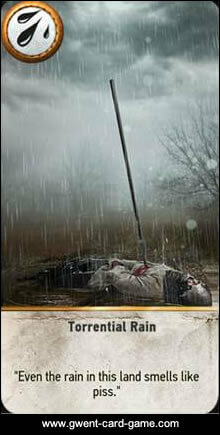 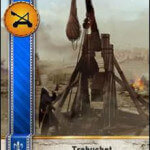 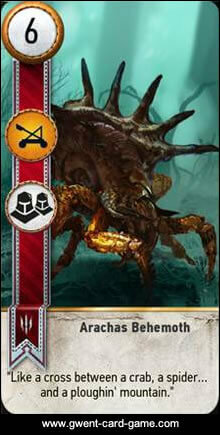 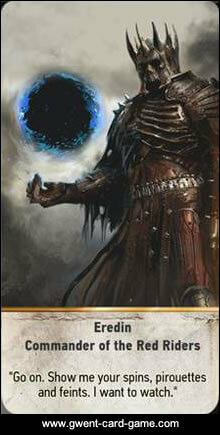 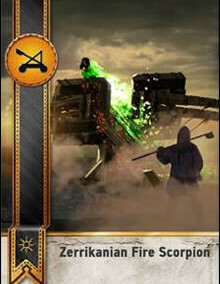 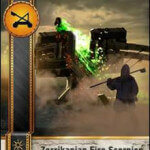 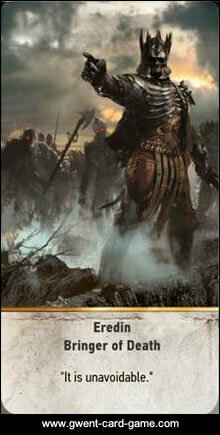 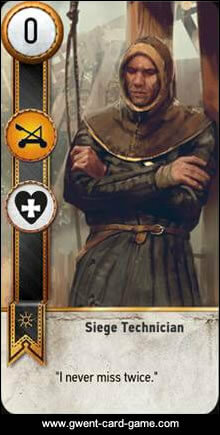 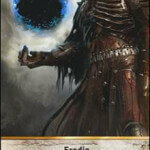 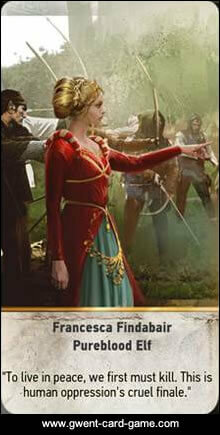 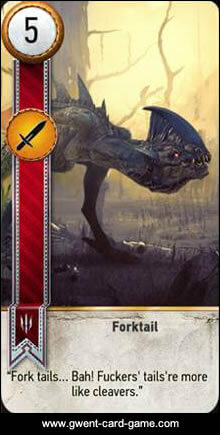 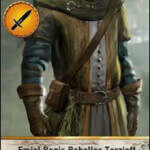 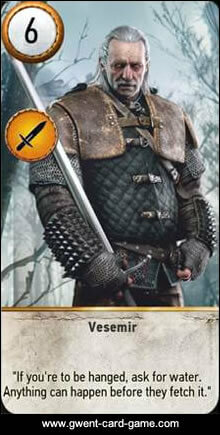 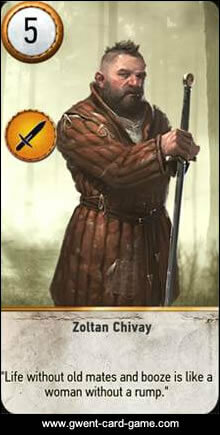 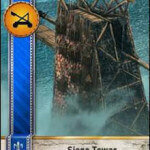 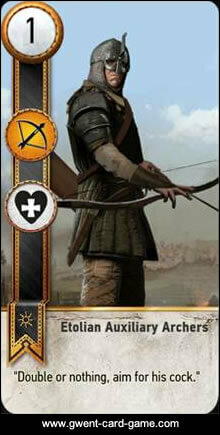 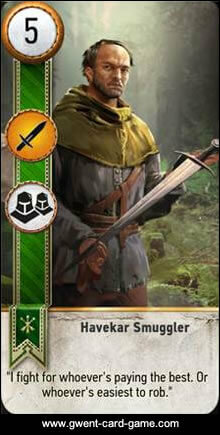 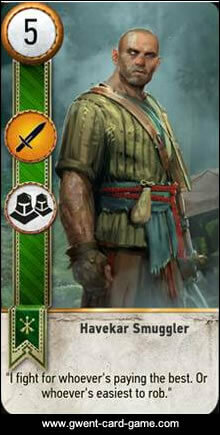 They include weather and special cards like the commander’s horn or the decoy card. 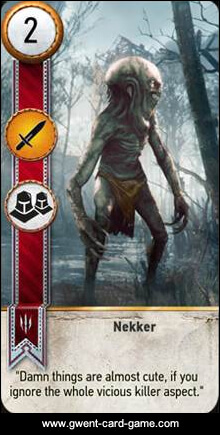 In total there a 31 neutral Gwent cards that can be found in Witcher 3 game. 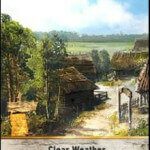 Below you’ll find all their specifications and locations where they can be found. 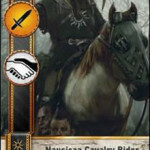 Below you find all 37 available cards for the Northern Realms deck. 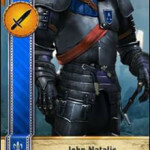 The Northern realm cards consist only of unit cards and hero cards. 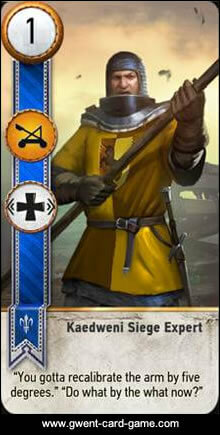 They have a good faction ability that lets you draw an extra card after a victorious round. 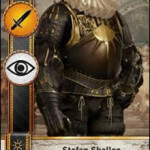 Since the Northern Realms deck is the deck you start the game with some of this cards have no location or are stated with “you start the game with it”. 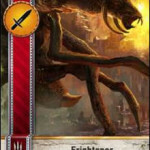 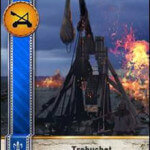 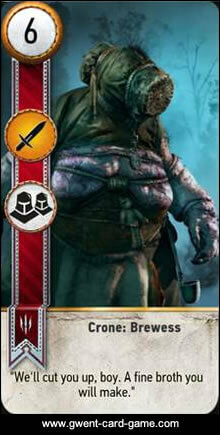 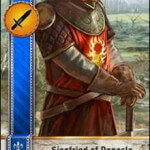 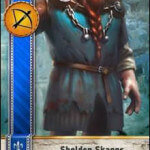 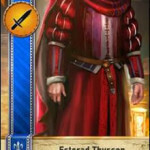 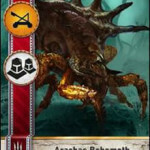 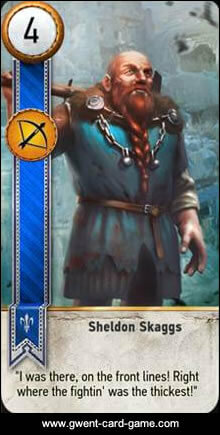 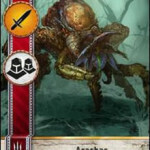 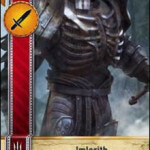 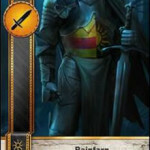 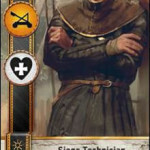 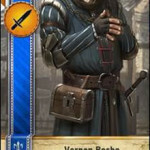 Northern Realms leader cards can be found in the leader card section. 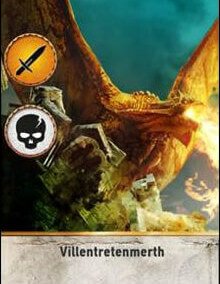 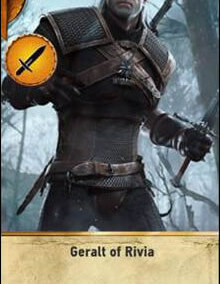 The Nilfgaardian deck consists of a total of 38 available Gwent cards. 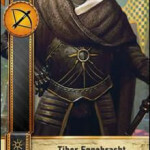 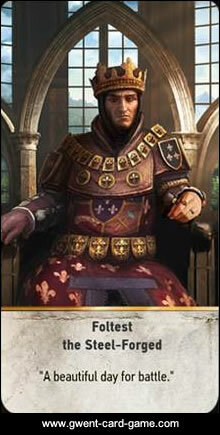 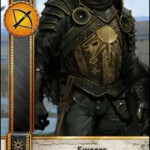 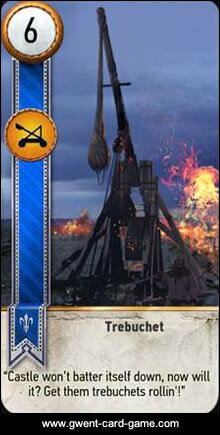 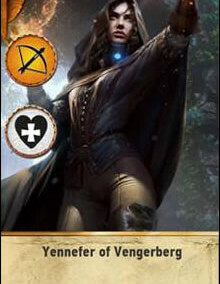 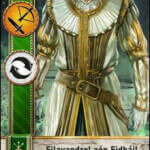 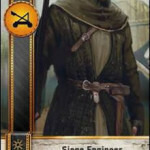 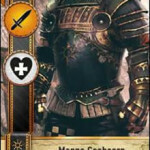 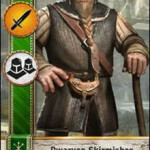 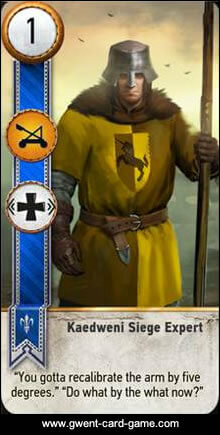 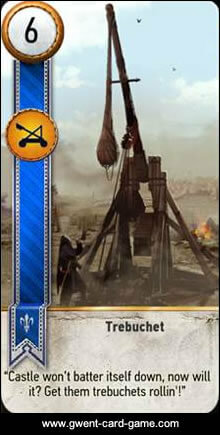 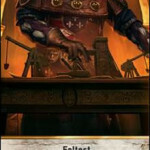 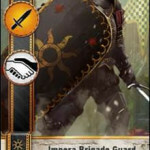 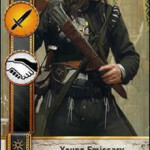 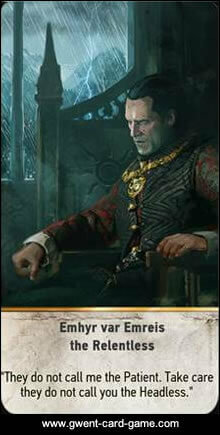 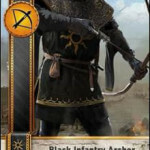 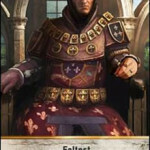 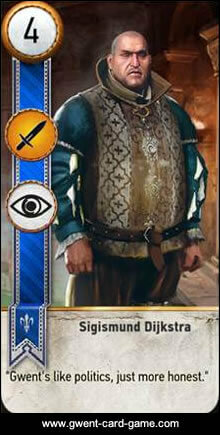 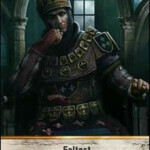 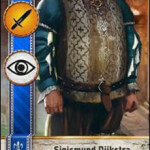 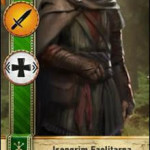 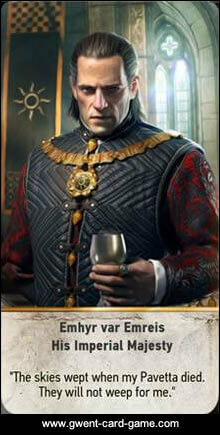 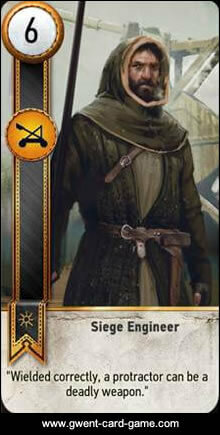 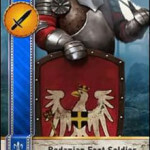 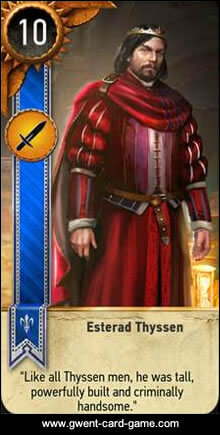 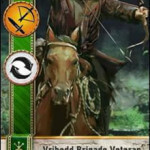 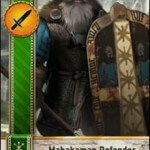 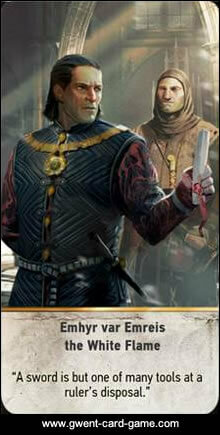 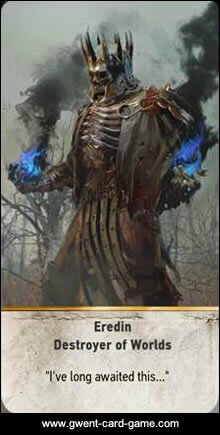 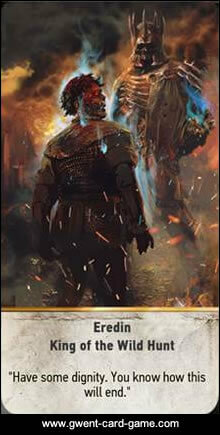 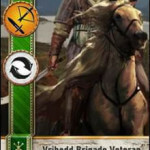 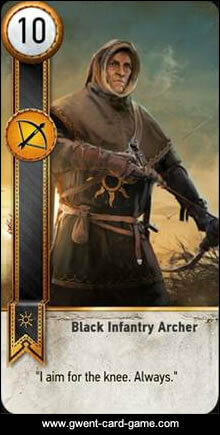 The Niflgaard cards contain only unit cards and hero cards, the Nilfgaard leader cards can be found in the leader card section. 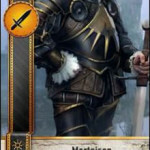 The Nilfgaardian faction ability is to also win a round if it’s a draw. 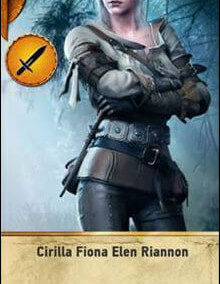 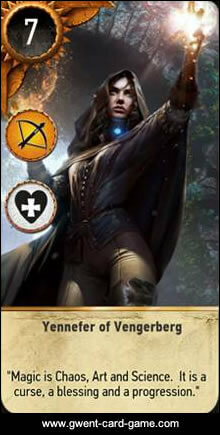 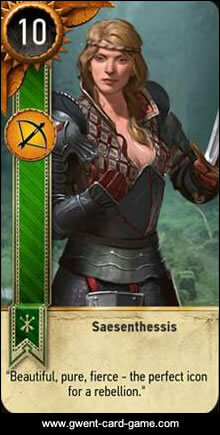 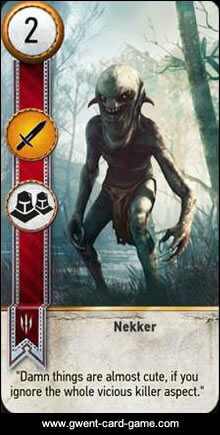 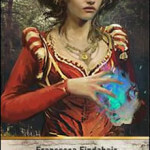 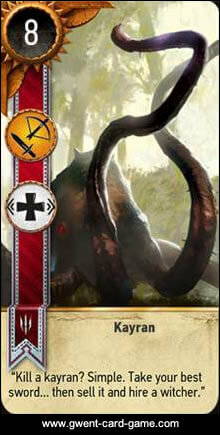 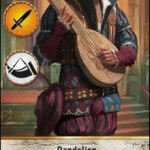 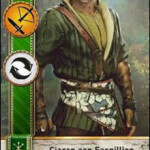 The Scoia’tael deck contains a total of 37 available Gwent cards in the Witcher 3 game. 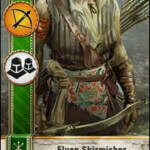 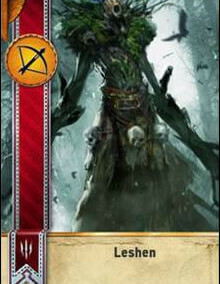 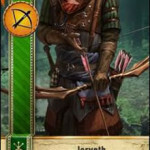 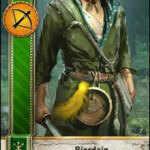 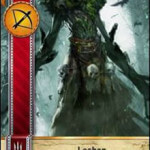 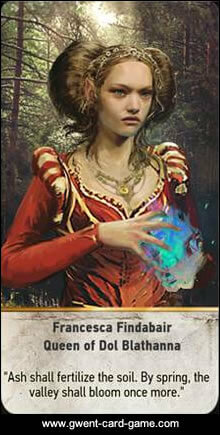 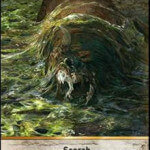 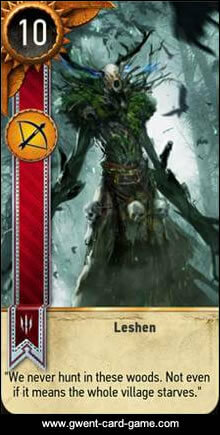 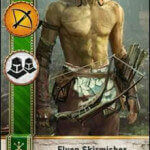 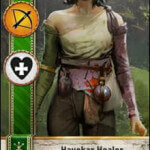 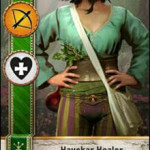 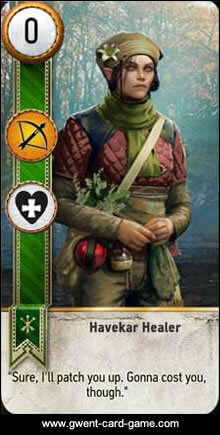 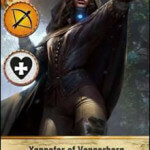 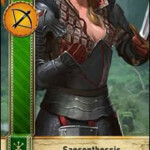 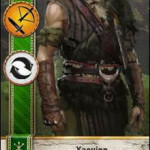 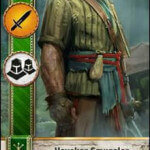 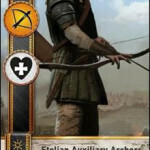 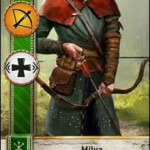 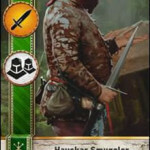 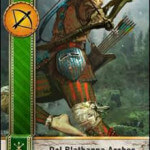 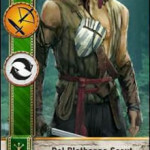 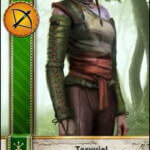 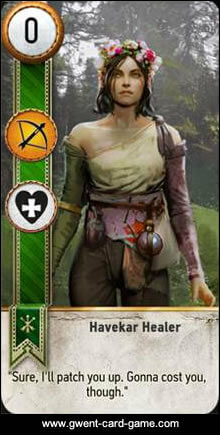 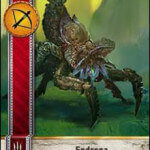 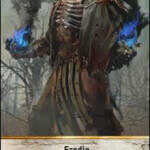 The Scoia’tael cards contain only unit cards and hero cards, the leader cards of the Scoia’tael deck can be found in the leader card section. 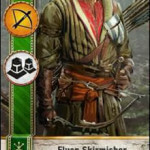 The Scoia’tael faction ability is to choose which player will start the game. 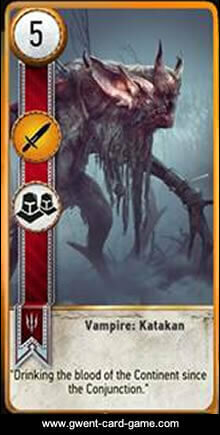 The Monster deck contains a total of 38 available Gwent cards with a lot of monsters you’ll kill as Geralt of Rivia in the Witcher 3 game. 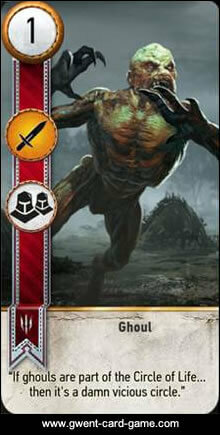 The Monsters deck contains only hero and unit cards, often with the Mulder ability. 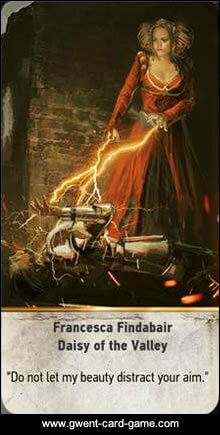 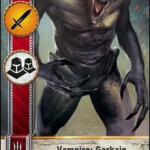 Although the Monsters deck does not contain any spy or medic card. 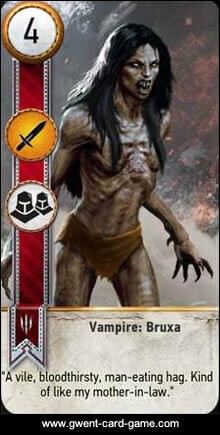 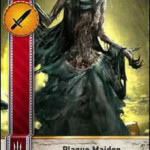 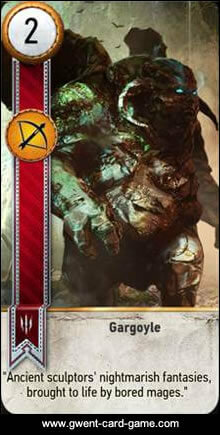 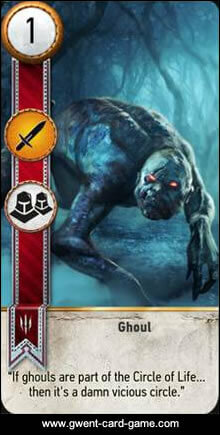 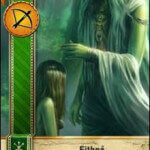 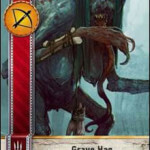 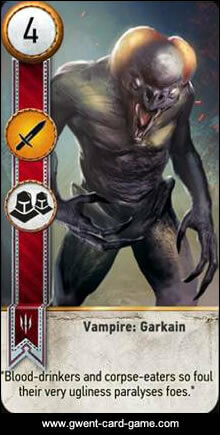 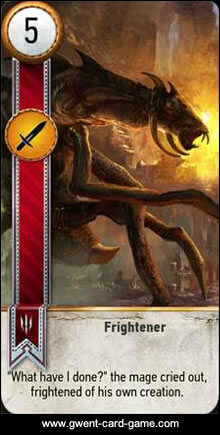 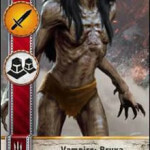 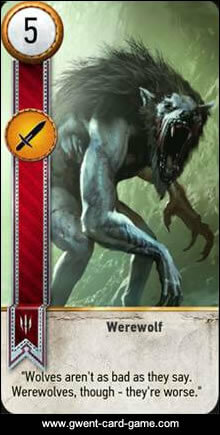 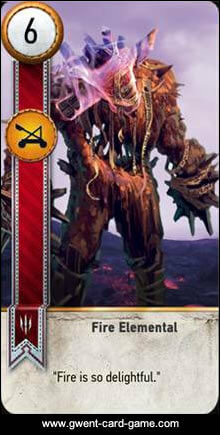 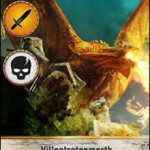 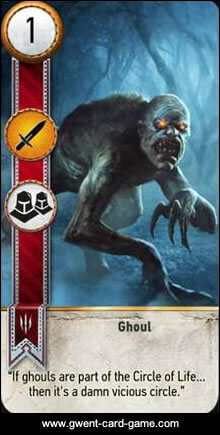 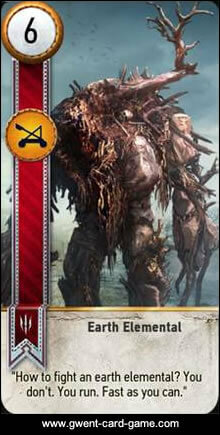 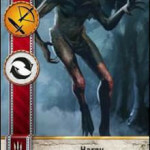 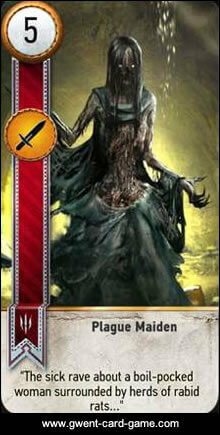 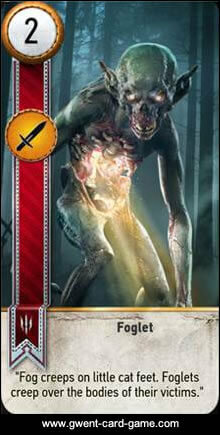 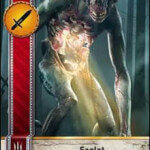 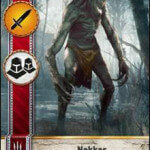 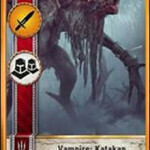 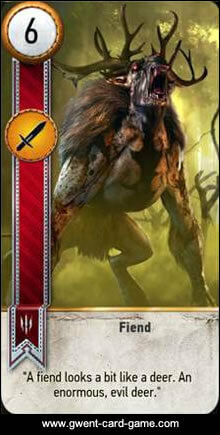 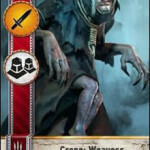 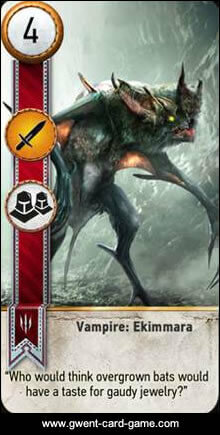 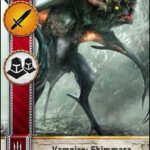 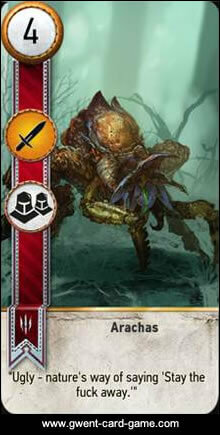 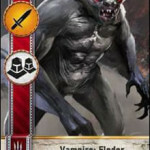 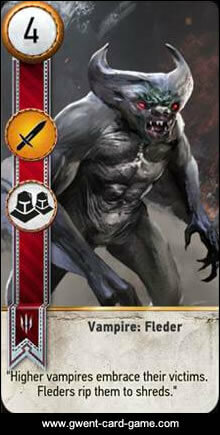 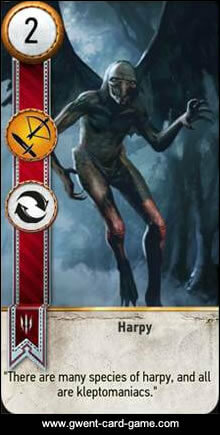 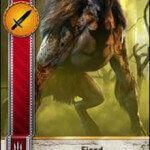 The monsters are lead by wild hunt characters who are the leaders of the deck, those can be be found in the leader card section. 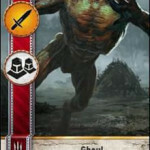 The Monsters faction ability is to keep one random unit card after each round on the battlefield. 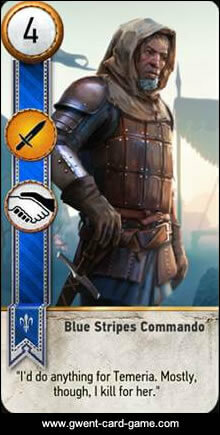 Leader cards add the extra punch to your Gwent decks, choose them wisely. 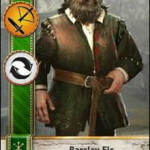 There are a total of 16 leader cards in the Gwent card game, 4 characters for each of the 4 factions. 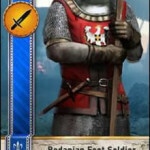 Be aware that the last and mightiest leader cards of each faction can only be obtained through the High Stakes – Gwent Quest. 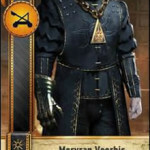 At the Gwent tournament in this quest you’ll face some really talented Gwent players and you’ll have to win against every one of them to receive all final leader cards, otherwise you won’t have another chance in the game to get those leader cards. 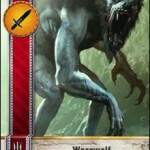 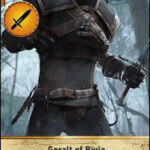 The following list show you where to buy Gwent cards in the Witcher 3 – Wild Hunt game and a list of all quests that contain Gwent cards as rewards. 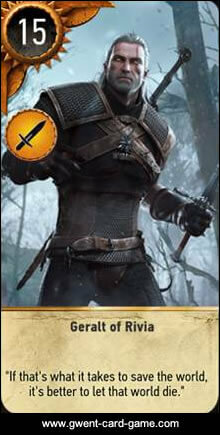 Gwent is a mini game in the Witcher 3 – Wild Hunt video game. 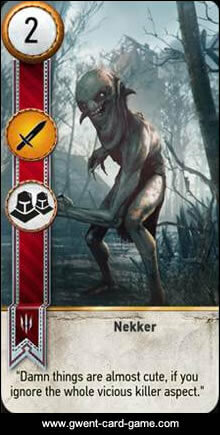 It’s a collectible card game that can be played throughout the whole Witcher 3 map including players in White Orchard, Velen, Novigrad and Skellige. 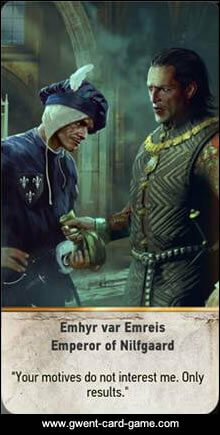 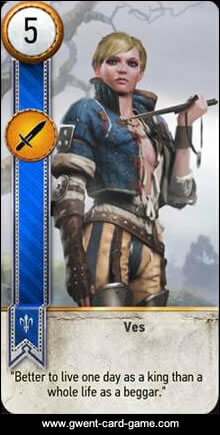 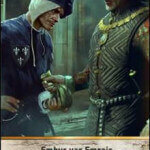 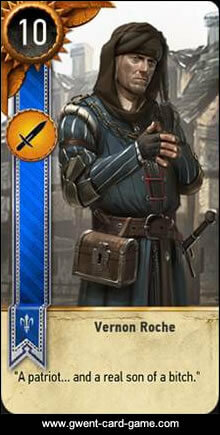 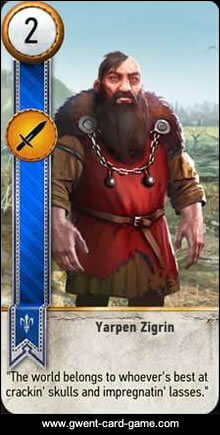 Gwent Cards can be purchased from merchants or won from several players across the game or by completing quests. 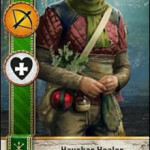 For more details about the Gwent Cards, the players and merchants check out the content above on this page. 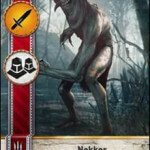 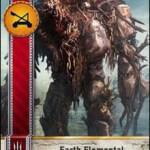 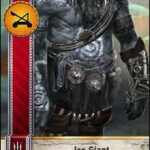 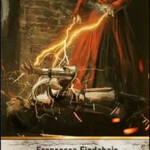 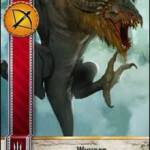 We prepared a Gallery with every picture of all Gwents cards to help you recognize cards you’ve seen in an opponents deck and want also want to add to your selection. 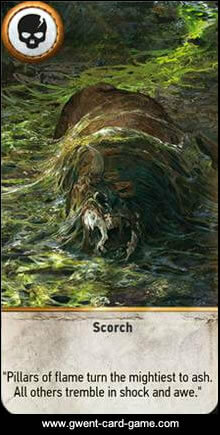 Below you find a short preview of this Gallery. 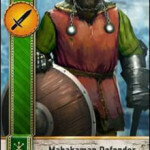 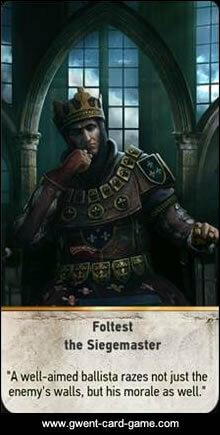 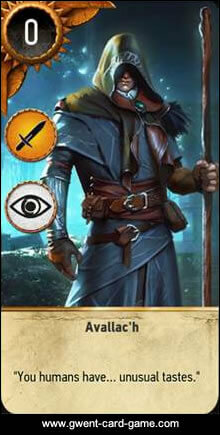 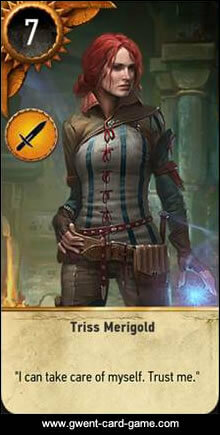 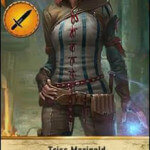 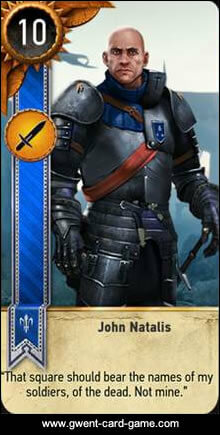 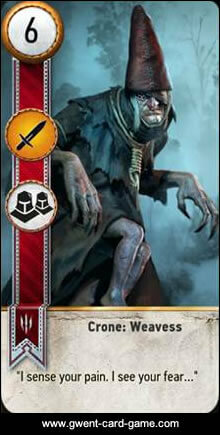 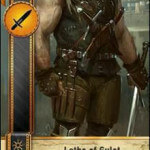 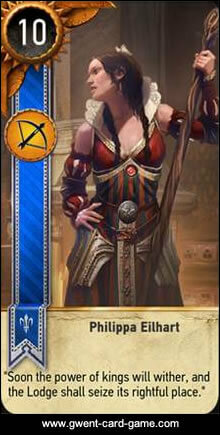 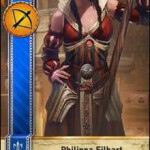 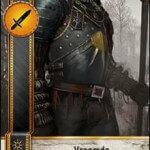 For more details and stats of the cards simply scroll to the All Gwent Cards List Section. 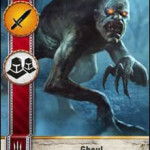 Still stuck with one opponent or did not find all Gwent cards yet? 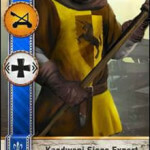 If your looking for more help to become the best Gwent player in the Northern realms check out our best Gwent strategies guide or find all best gwent cards listed here. 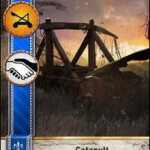 Our list of all Gwent players in Witcher 3 and all Gwent quests may also help you to find every Gwent card in the Witcher 3 game. 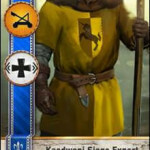 If you want to print your own Gwent Cards set you find a full sheet on reddit here.